Nestlé enjoys a reputation as one of the world’s largest FMCGs, and a leader in nutrition, health and wellness. With hugely successful global brands that include Nescafé, Milo, Maggi and Kit Kat, Nestlé has been providing Kiwis with high quality food and beverages products for over 120 years. We know that what makes our company unique is our people: the people who share our beliefs and principles and who work constantly to keep Nestlé in its leadership position. Currently, we are looking for a Digital Marketing Coordinator to join the team at Nestlé New Zealand on a 12 month fixed term contract. If you are interested in a career specialising in digital, this is your chance to join one of the most forward thinking FMCG companies in the world. As part of the Oceania Digital Acceleration Team of 11, you will be the champion for New Zealand in this one-of-a-kind role. This self-motivated person should be able to work independently as well as with a team. We’re looking for an individual that can take a task, get clarity as needed, and run with it to produce highly engaging and captivating digital content. You need to be a strong communicator with commercial acumen who loves digital! This role will see you working with our marketing teams, external creative/digital/media agencies and global digital partners to create content across both owned and earned digital channels (social, website and CRM), for our global and local brands. The Digital Marketing Coordinator helps brands lead the way with their always-on and campaign communications. Management and moderation of Nestlé New Zealand’s owned digital assets (social channels, websites, EDM). Ensure all always on activity is aligned to the brand’s strategic priorities. 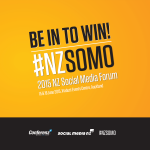 Reporting and optimization of Social Community engagement across all NZ communities. Ensure compliance of digital activities within Nestlé guidelines and NZ law. At least 2 years’ experience creating content for online brand communities and developing on-brand messaging, with a demonstrated understanding of digital platforms. A creative mind and passion for exploring new technologies, which can be used to add value to existing and new always-on channels. Experience implementing tactical social media plans. An understanding of digital tools (publication, measurement, management) and how to leverage the tools for the optimal results. Someone collaborative in nature, as you will be liaising with multiple internal and external contacts. We believe in collaboration, a people focus and long-term career development and, because nothing stands still for long, each day brings opportunities and challenges to grow and reach your potential. In return, we look for our people to be dynamic, pragmatic, team players, people of integrity, and high achievers. The combination of these qualities is the basis of our strong management, financial discipline and social responsibility the world over. If you want to experience why “There’s More to Life at Nestlé” click here and submit your application.